An update on the newest entry in the Fire Emblem series has been a long time coming. 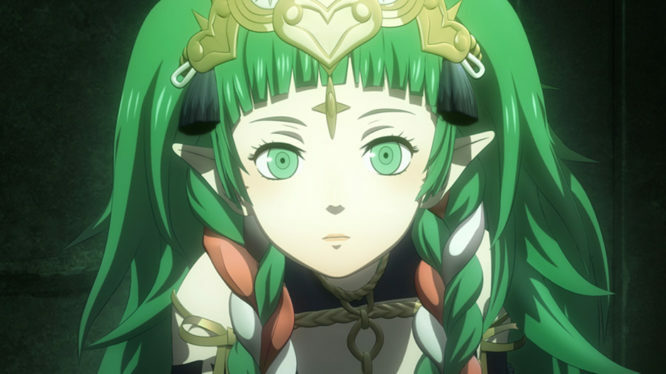 In today’s Direct, Nintendo rectified that and shared a whole host of details about Fire Emblem: Three Houses including a new release date of July 26th, 2019. We now also know that Fire Emblem: Three Houses is set in the continent of Fódland and the story centres around the three houses of the Officer’s Academy. These houses are the Black Eagles, Blue Lions, and Golden Deer and each represents a power that rules over the continent. Lead the life of a professor. You take on the life of a professor who must choose one of these houses and lead its students to succeed in the battlefield. You’ll travel with them to accomplish class assignments that range from battling bandits to suppressing rebellions. Your students will need to work hard in order to be able to wield a variety of weapons including swords and magic. As their professor, you’ll be able to choose what special skills (such as horsemanship) they have at their disposable. Ultimately, your job is to guide these students to their full potential through studying and combat. A Seasons of Warfare special edition of the game was also announced. 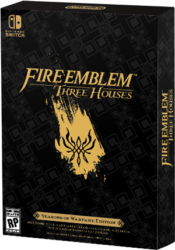 This will include a physical copy of Fire Emblem: Three Houses in a steelbook case, an artbook, sound selection CD, and calendar. Previously Nintendo had stated that the next Fire Emblem would launch in the Spring but fans will have to wait just a little longer for the game. Fire Emblem: Three Houses along with its special edition, Fire Emblem: Three Houses – Seasons of Warfare Edition will both launch exclusively for Nintendo Switch on July 26.